Investigating New Applications for Reverse Osmosis and Ultrafiltration | Applied Membranes Inc. Reverse Osmosis and ultrafiltration are being used in a variety of applications. Potentially there are hundreds of other applications where these technologies can be used. This paper discusses some of the techniques that can be used to investigate new market areas and to increase the chances of success in commercialization of each application. The potential of membrane technology has been known since early 1960’s. (See Table 1) It was not until 10 years later that first commercially available membranes were used in applications other than desalting. Public Water Supply 1,000 ? Actual sales in 1985 for the markets listed in Table 2 were a tiny fraction of the projected figures. There are several reasons for this. First, each application development requires extensive testing, understanding of the industry, understanding of the competition and market development. Second, in many cases, in order to make the membrane technology commercially viable, process modifications, membrane modifications or new membrane development, special operating conditions or a combination of these may be necessary. All these factors point to long development time and high cost of application development. Membrane application demonstration tests done in a laboratory are deceptively simple. We feel that simplicity of such test and lack of understanding of how membranes and processes behave, has led to an unrealistic expectation of the size of membrane markets. On the other hand, once we understand these factors we can work to maximize the chance of success. Each application development, therefore, is a process of carrying out a planned set of tasks based on sound engineering practice and lessons learned in the past in the membrane (RO/UF) industry. The rest of the paper will discuss these tasks and experiences. Is Membrane Technology The Answer? We will discuss these in more detail in the following sections. Minimum performance targets for the membrane system. For instance, minimum membrane rejection capability or minimum volume reduction may be specified. A quick check at this point may indicate whether or not any membrane or any membrane system is capable of meeting these requirements. Major areas of concern should be defined. For example, these may include amount particular component lost in the permeate, effect of using membrane technology on the overall process, how to dispose of the concentrate in case of waste stream, etc. The cost or feasibility impact of these factors should be estimated. This involves not only the usual criteria of overall cost and economic benefits but also factors like product quality or yield improvement, cost of concentrate disposal (water and waste water), impact on overall process, water reuse, etc. Combining membrane process with a conventional process may be more economical than either process. Membrane module used in the pilot plant should be of commercial size. Operating conditions should be selected to meet the membrane specifications. Modifications of the operating conditions to optimize the membrane performance. The test should be carried out with sufficient time to give meaningful information on membrane fouling. In determining this time one would need to consider the type of feed, the variation in the quality of this feed with time, past experience and data on a similar feed and a few other factors. These considerations would also affect the type of data and the frequency at which it should be collected. Recovery is defined as the fraction of feed water that is converted into permeate. It is obtained by dividing the permeate flow by feed flow. Higher recoveries are desired for waste water applications to reduce the total waste water into the smallest volume for final disposal. Higher recoveries are also desired in water-short areas. Recovery for a given application depends on the total ionic content (osmotic pressure), concentration of sparingly soluble salts, quality of permeate, etc. If desired recovery cannot be achieved, the membrane application may not be feasible. Membrane life is related to the operating cost of the systems. Proper design of membrane element, correct operation and maintenance of the system. Fouling of membranes limits the application of membrane technology in many applications. Developing a new application in membrane technology takes a considerable time and expense. Although initial test and application data can be completed relatively quickly, long term effects on membrane performance under variety of situations possible in that industry take a considerable effort. This can lead to frustration and possibly a premature end to the applications development program. In many waste water and process applications, membrane system supplier is reluctant to offer performance or membrane life guarantees. On the other hand, the user of the membrane system is not willing to take a risk with new technology. Equipment manufacturer needs more field experience whereas the end user needs proof and long performance record. Finally, an understanding of each application industry, its needs and its attitudes must be well understood. System design may need to be modified to suit special requirements of each industry. System design is yet another step in the process of developing new applications that can make a big difference in the overall success. Improper system design, in the past, has led to shorter membrane life, more frequent cleaning, higher energy costs and reduced membrane efficiency. And, of course, a poorly designed system can lead to a loss of confidence in membrane technology by both the customer and the industry. An important consideration for developing a new application is its potential market size. Membrane technology has suffered from extremely optimistic market forecast put forward by many different organizations. Such forecasts have led to bitter disappointments and misgivings about the real potential of membrane technology. Impact of factors such as time to develop the technology, cost of development, customer acceptance of membrane technology and the strength of competing technology, must be carefully weighed on predicting market potential for each application. I will illustrate this by two applications that I have developed. First application is in the treatment of emulsified oily water. Ultrafiltration is used to concentrate oil in waste water and permeate is discharged to sewer or recycle. In 1974 we carried out an extensive laboratory and pilot testing program. Our work demonstrated that savings in waste water haulage costs would pay for the ultrafiltration system in less than one year in many cases. The metal finishing industry was very skeptical of ultrafiltration technology and was reluctant to purchase this equipment. Finally, we had to overcome this problem by renting or leasing the ultrafiltration units until enough track records had been established in the industry. This process took more than five years. In a different application, the objective was to concentrate maple sap from about 1% sugar to about 10% sugar concentration. Here reverse osmosis with its low energy consumption can be used to remove 90% of the water. The reverse osmosis concentrate can then be further concentrated by a conventional evaporator. In 1978, I investigated this application and discovered that a few reverse osmosis units had been sold in this market. These were standard reverse osmosis units originally designed for water treatment. We studied the customer and industry needs, designed reverse osmosis systems to match these and undertook a testing and demonstration program. Maple sap industry responded to this and over 200 reverse osmosis units were sold over the next two years. 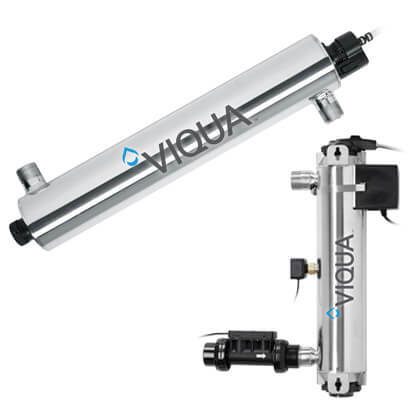 Some of the successful applications of reverse osmosis and ultrafiltration are listed below. Treatment of water for potable, ultrapure, boiler feed, rinse and other industrial uses. Waste water treatment applications such as electro-deposition paint, oily water, electroplating rinse water, cooling water, municipal waste water, cheese whey, dyes, solvents, colloids, etc. Food processing applications such as milk concentration, juice clarifications, low alcohol beer, etc. Developing new markets for reverse osmosis and ultrafiltration requires careful development of application and design data in the laboratory and field. Market forecasts must be moderated with factors such as technology limitations, time and effort required to develop an application and others. Lack of thorough understanding of application industry and insufficient application tests data have resulted in failures or long delays in the introduction of membrane technology. Understanding and experience gained to date can help towards more successes in commercialization of membrane technology.